I made some vedios about how to assemble the paper box on our YouTube 100 INVITAITONS channel,and some people like to have the design file. It is suitable for 250gsm thickness paper . 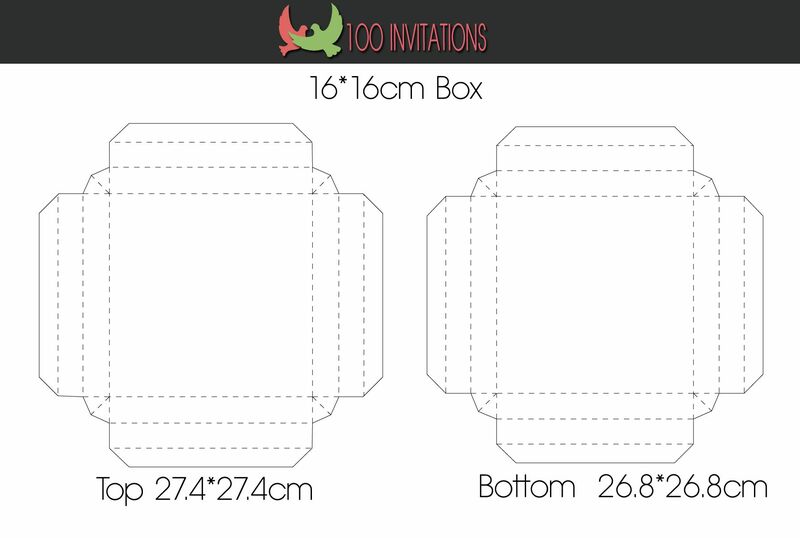 Good for 14.5*14.5cm or 15*15cm wedding invitations. Just make your invitation more elegant and luxury with a box! Please contact me if you need help and welcome for advice . prev articles: You are so kind for share tips those works in your wedding.